1st visit- What do I do? Abide Ministries exists to give young adults between the ages of 18-23 the places and spaces to abide together in Christ and with one another. We believe that faith development during this pahse of life is critical to the holistic well-being of young adults and is done best within a community. Whether HCN is your weekly home church, or your church to come home to, Abide Ministries has a place for you. 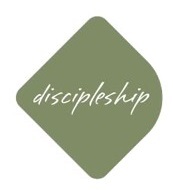 This weekly space will provide current information for ways to connect and invest in worship, discipleship, relationships and missional living, all core values for the development of a mature faith. We invite you to join our growing and exciting ministry of people who, like you, are on a journey of discovering who God is and His plan for their lives. 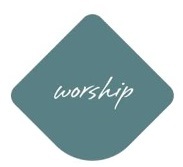 ABIDE college age adults participate in our contemporary worship service at 10:15 on Sunday mornings. ABIDE college-age adults benefit from healthy relationships and time spent with peers within their community of faith. 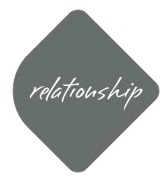 Forming these relationships strengthens young adults as they go to college or they workplace. Opportunities to form these relationships are available during all regular service times as well as regularly scheduled social events. ABIDE and Rooted meet together in Room 226, at 9:00 am. This contemporary discussion group caters specifically to the college or post grad aged young adult stage of life. 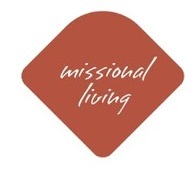 Watch for opportunities to participate in the missional life of HCN in your weekly bulletin and mailer. Even better, just come be with us! We would love to meet you! FLEX Exercise Classes – Deborah Walter, ACE, Licensed Tivity Health Instructor, leads M, W, F classes for adults of all levels in the Shankle Center. See weekly calendar for specific class options at 11 a.m. and Noon or contact deblee1@comcast.net. $3/class or no cost with SilverSneakers benefit. Join Pastor Hunter in the TNU Library to study scripture together. Bring your Bible. Contact Hunter at hunter_steinmetz@yahoo.com to be added to the Group Me texting group. Join us for our Weekly Men’s Fellowship Breakfast at 6:00 AM every Friday at the Hermitage McDonald’s. All are welcome. · Traditions service meets at 9:00 AM in The Hendershot Chapel with an organ, piano, and hymns. It is a classic service that concludes with communion and the doxology. · Celebration service meets at 10:15 AM in The Shankle Center with a band, praise team, and worship songs with significant words and meaning. · Hispanic service meets at 10:15 AM in The Hendershot Chapel. Our Hispanic service meets on Sundays at 10:15 AM in the Hendershot Chapel. Please invite your Hispanic friends and neighbors to connect with our communiity. Flyers with details are available at both welcome centers. Copyright © 2019 Hermitage Church of the Nazarene.